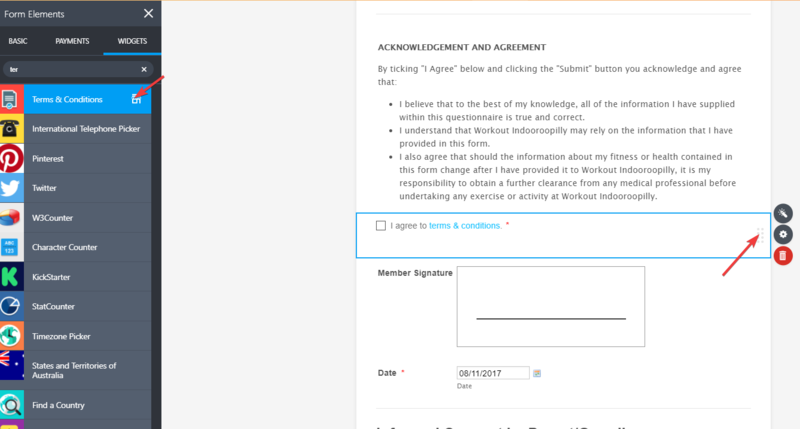 Can you please make the "I agree" appear as in the screenshot. Sorry but that seemed to move all the asterisk's in the form to that position. Can we move the "I agree" to be left aligned, and then put the asterisk on the right of the "I agree". "I agree" appears twice in the form. Would you like to use the "Terms & Condition" widget instead ?. This would be the perfect choice instead of using the Multiple Choice field . It is very easy to use and supports hyperlink. 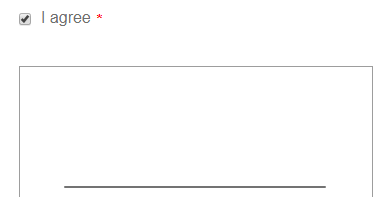 This should take care of both the I agree fields on your form.